Hank is another Sawyer son who we are quite excited about. 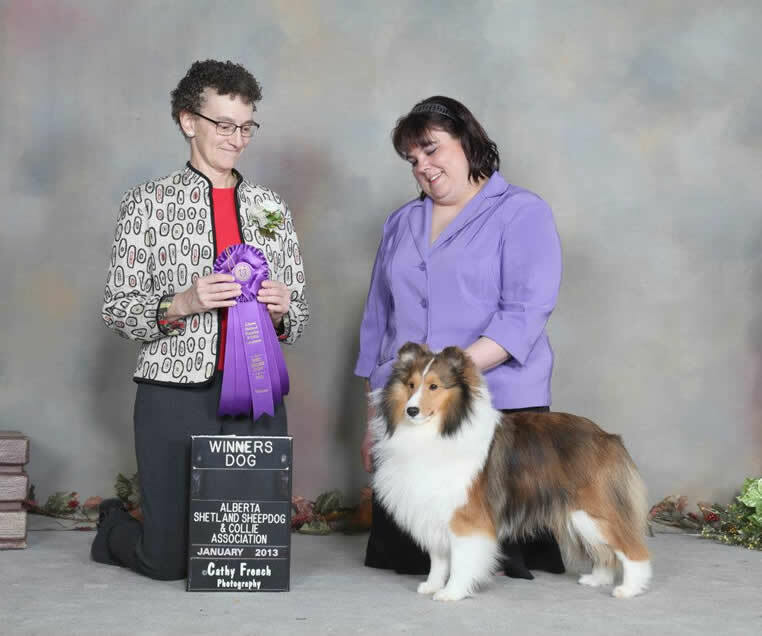 Wins his first points at the Alberta Collie & Shetland Sheepdog Club under Breeder judge Kim Schive of Foxglove Shelties. Off to the 2014 American Sheltie National and under breeder judge Mark Houston MacMillan awards Rally a 3rd place in the Novice dog class!